As you may well know, we held a competition over the course of Comic Con London last weekend, and it’s still going strong! 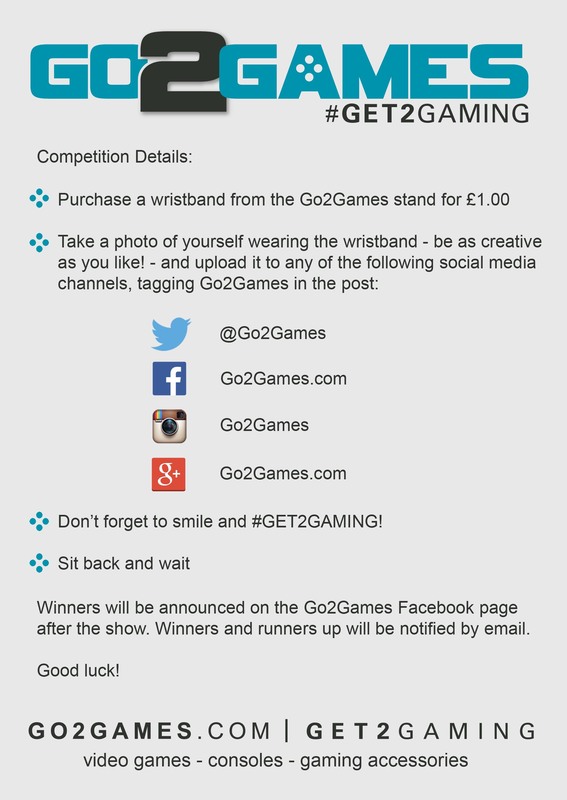 The aim of the game was to come over to our stall, grab a #GO2GAMER wrist band, take a photo of yourself, and pop it up on any of our social platforms, and not forgetting to tag us in them! We’ve had loads of entries and are there are still more of you who haven’t yet posted your photos up, so this is a reminder to you all! We are very much looking forward to seeing the rest of the photos, as there have been such excellent ones coming through so far! Full information/instructions are also below in the form of our flyers, if you have misplaced yours or forgot to grab one! We hope that you all had an excellent weekend at London Comic Con and we wish all of you who entered the very best of luck for our prize draw!